Why do honest and decent employees sometimes overstep the mark? What makes managers with integrity go off the rails? 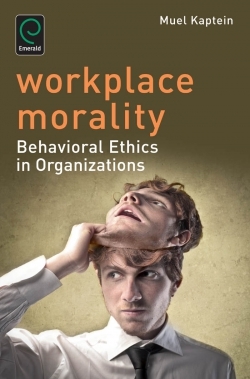 What causes well-meaning organizations to deceive their clients, employees and shareholders? Social psychology offers surprising answers to these intriguing and timely questions. Drawing on scientific experiments and examples from business practice, Muel Kaptein discusses why good people sometimes do bad things and how they rise above this behavior. He explains why cheats wear sunglasses, why overstepping the mark could be a good thing, how a surplus of rules creates offenders and why we should be suspicious of colleagues who wash their hands after meetings.